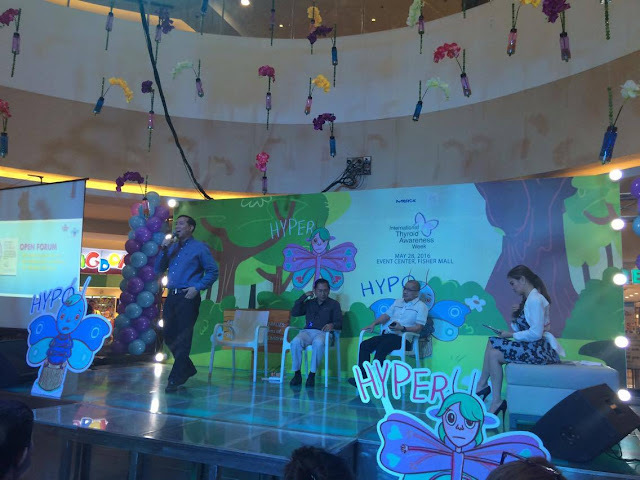 “Catching Butterflies: Spotting the Symptoms of Thyroid Disorders in Children” is the theme of this years' International Thyroid Awareness Week Celebration which was culminated by Merck Inc. and ETC 2nd Avenue at the Fisher Mall Event center last May 28, 2016. The butterfly theme was chosen to represent the thyroid, which is a butterfly shaped organ found at the base of our necks. Little did we know, millions of Filipinos are affected by thyroid disorders, yet very few are aware of them. In a study conducted by the Philippine Society for Endocrinology, Diabetes and Metabolism in 2012, it showed that one in 11 Filipino adults has goiter, and around one in 12 Filipino adults suffers from some form of thyroid disease. Around 8 in every 1000 children worldwide are affected by thyroid disease but only a handful get properly diagnosed and treated. 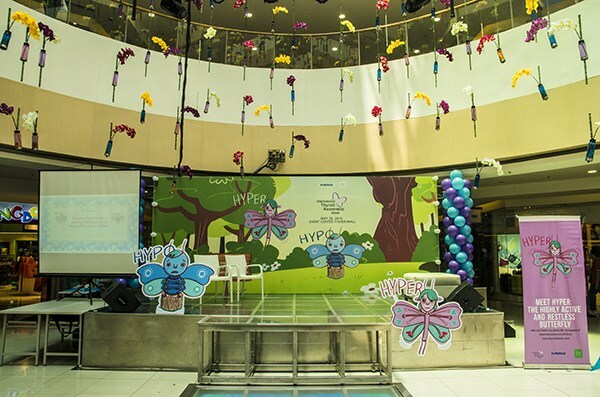 The “Catching Butterflies: Spotting the Symptoms of Thyroid Disorders in Children” event aims to increase the awareness of the thyroid and the disorders that can affect children and adults. This is because if thyroid hormone imbalances are left undiagnosed and untreated, they can have harmful effect on a child’s brain development, growth and physical maturity. The awareness campaign showed that thyroid disorders are treatable with early screening and proper treatment. 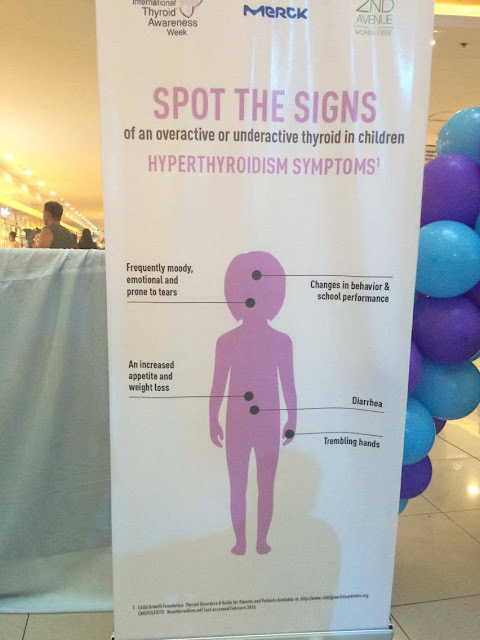 During the event, a panel of experts from the Philippines Society for Diabetes, Endocrinology, and Metabolism, the Philippine Thyroid Association, and the Iodine Global Network conducted a talk on how to recognize and treat thyroid disorders. 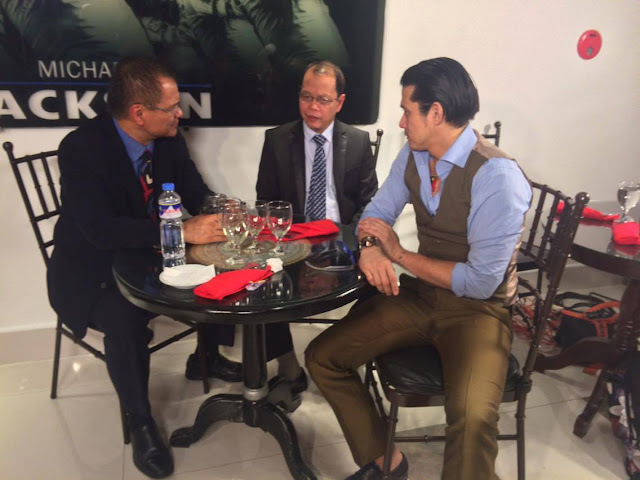 They also conducted a Free Doctor's Consultation and Thyroid Screening. 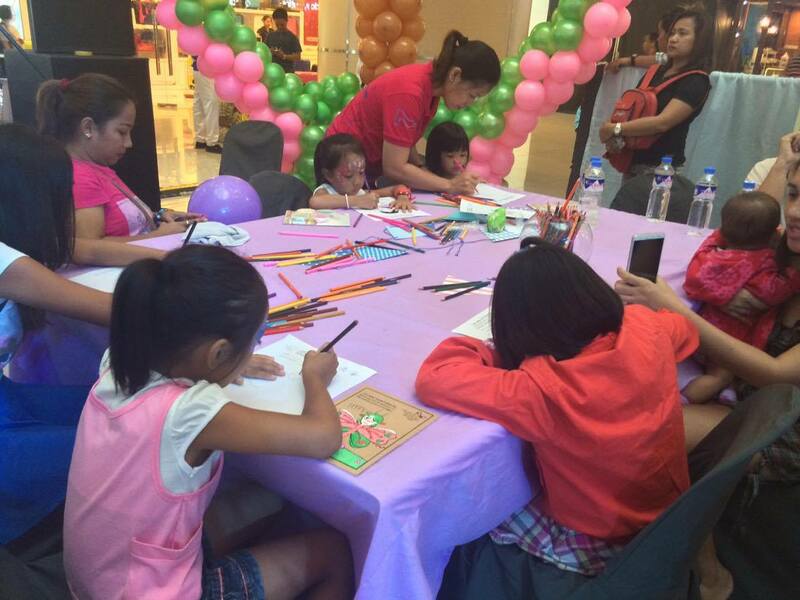 The event was not only educational but also fun-filled, aside from the beautiful decorations there were also many other activities that both children and parents enjoyed together. There was as on-the spot art competition. Butterfly Cookie Art. Took home some for the kids and they liked it! 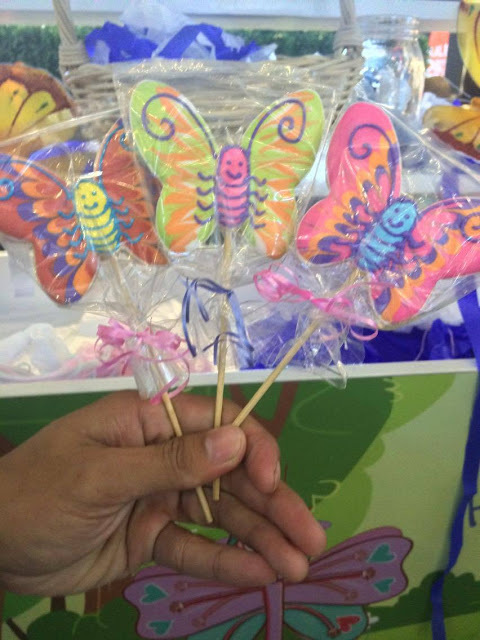 There were also butterfly clay art, dance performances, Hypo- Butterfly and Hyper-Butterfly Mascots and so much more. How I wish I brought the kids along, I'm sure they would have loved it! ETC 2nd Avenue also had a booth where attendees took their photos on the photo wall, posted it to their social media accounts using the hashtags #thyroidawareness and #wearebraver, have it printed at the booth and instantly win a prize. 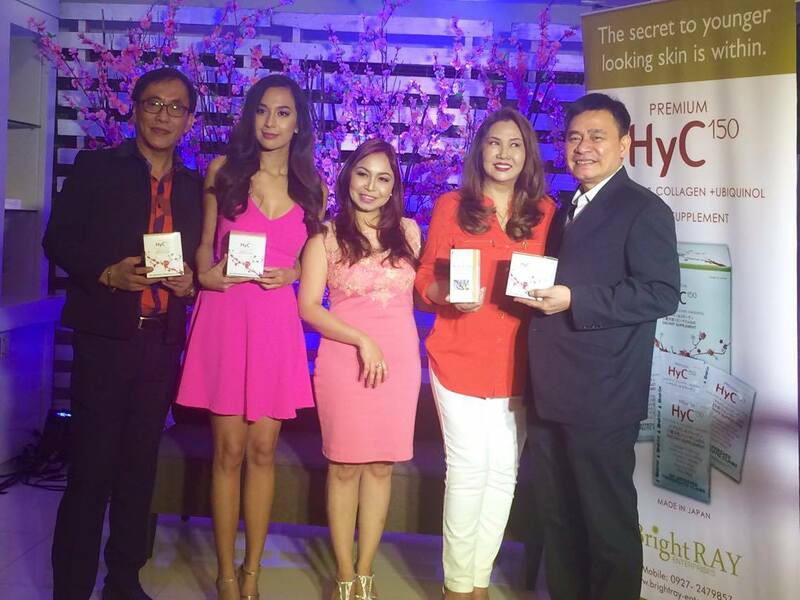 I participated and won a Flawless Stem cell Cleanser, yey! The thyroid gland is a butterfly-shaped organ located at the base of the neck. The thyroid produces and stores thyroid hormones, which are essential to the normal development of the body, as well as its normal metabolism and function. Thyroid hormones affect practically all systems of the body, from the brain, to the heart, to the stomach, the reproductive system, etc. 2. What are the difference between hypothyroidism and hyperthyroidism? Hypothyroidism is when your thyroid doesn't produce enough thyroid hormone. Thus, metabolism is slowed. Patients typically complain of weight gain (even without increasing appetite), cold intolerance, chronic fatigue, sadness/depression, slowed speech patterns, slow heart rate, dry/brittle hair, constipation, and menstrual irregularities. Hyperthyroidism is when there is too much thyroid hormone, and Symptoms are typically opposite that of hypothyroidism. Patients will note weight loss, sweating, insomnia and irritability, fast heart rate and palpitations, hair loss, diarrhea, and menstrual irregularities. 3. How can thyroid disorders be diagnosed? Diagnosis is made by a physician based on the results of blood tests- TSH (thyroid stimulating hormone) and thyroid hormone levels in the blood. 4. How to asses your own Thyroid? Facing a mirror, lift your chin up and inspect your neck. Swallow, and if you see a mass at the base of the neck moving up and down, you may need to consult your doctor for goiter. Also be aware of the symptoms of hyperthyroidism and hypothyroidism, so you can consult a doctor when you note you have them. 5. How can hypothyroidism and hyperthyroidism be treated? Hypothyroidism is treated with thyroid hormone replacement therapy. Hyperthyroidism is treated with anti-thyroid drugs, which lower the level of thyroid hormones in the body. 6. Should children be screened for Thyroid problems? 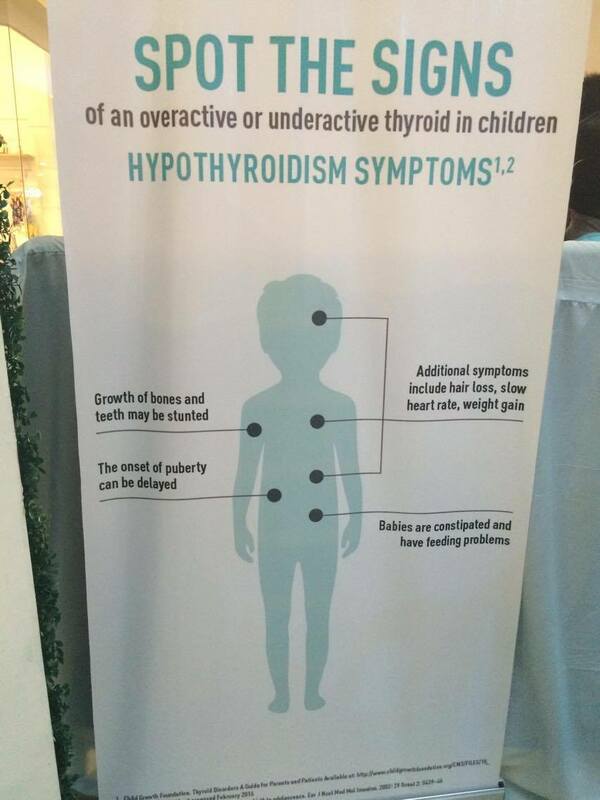 Parents should be aware of the symptoms of thyroid disorders so they can bring their child to the doctor. If they notice mood and behavior changes, difficulty learning, and other signs, consult a doctor. 7. Should pregnant women undergo screening for thyroid problems? 8. How can Thyroid disorders affect pregnant women and the unborn baby? Thyroid disorders, if untreated, can lead to negative outcomes for the mother and child. Conditions like eclampsia and placenta previa can occur. Furthermore, the child might have developmental abnormalities, especially with mental and cognitive abilities. Children with mothers who are iodine deficient or hypothyroid can have lower IQs. Ask your doctor about thyroid screening if you are pregnant. 9. What type of foods are good for the Thyroid? People are encouraged to take iodized salt, to avoid iodine deficiency, the most common cause of goiter. 10. Is Thyroid Disorder hereditary? There is a hereditary component to thyroid problems. If you have a relative who has thyroid disorders, you should regularly have yourself checked. Merck is the world’s oldest pharmaceutical and chemical company with headquarters in Darmstadt, Germany. Merck is a leading science and technology company that works to further develop technologies that improve and enhance life – from biopharmaceutical therapies to treat cancer or multiple sclerosis, cutting-edge systems for scientific research and production, to liquid crystals for smartphones and LCD televisions. As we age, our skin loses moisture and suppleness, our hair becomes weak and dry, and our muscles become stiff making us less energetic. Thus the search for solution and anti-aging products takes place. But with the many anti-aging products nowadays, it's hard to tell which one really works. I am not getting any younger and I can't stop the time, days and years from passing by but as they say age is just a number, so there's definitely something I can do on how I choose to age. And, even though I am not a beauty expert, as early as now I try to familiarize myself with things that can help my future self. 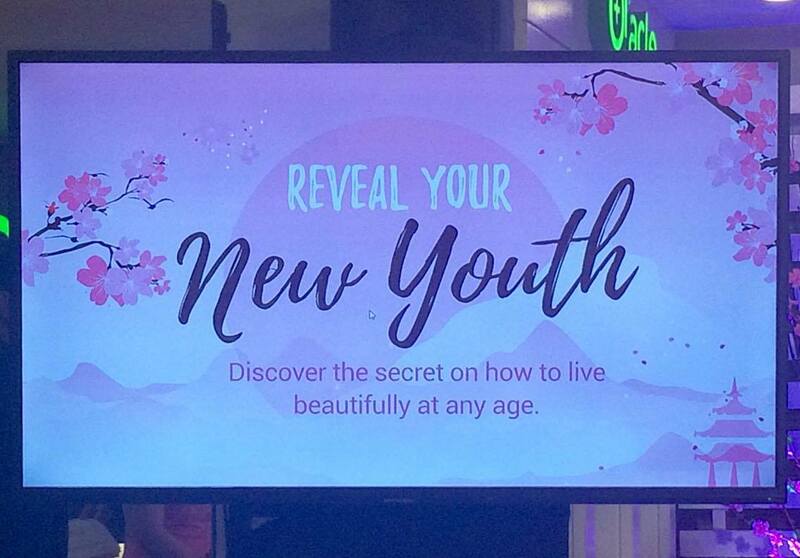 That's why I was glad to have been invited into a Japanese Springtime Themed event at Oracle Aesthetic Clinic, where experts and specialists revealed the secret on how to live beautifully at any age, with the aid of HyC150. Premium HyC 150 is supplemental drink manufactured by Fine Japan Co. Ltd., it has a potent combination of natural ingredients to combat signs of aging. Only HyC 150 combines the moisturizing effect of 150mg of Hyaluron, also known as nature’s moisturizer, with collagen and ubiquinol, all natural ingredients known for its anti-aging properties. 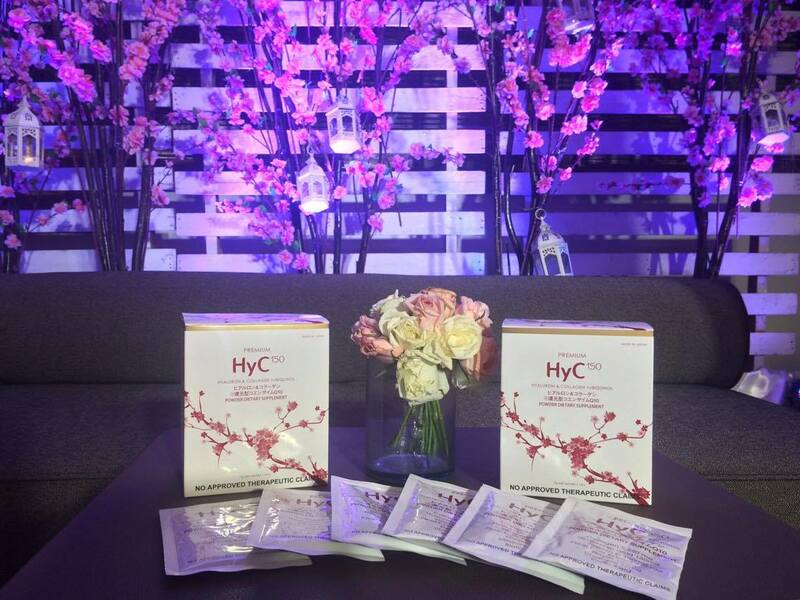 With HyC 150 food supplement, not only does one’s natural beauty becomes enhanced, but being beautiful also means being healthy too. HyC150 was given the Gold Award at the 2015 Monde Selection Awards for Diet and Health products. This international recognition is a testament to the superior quality of HyC 150 compared to all other anti-aging supplements in the market today. Hyaluron- HyC 150 contains 150mg a gel-like substance that moisturizes the body and lubricates the joints and tissues so you can move freely and pain-free. At the same time, the skin is well hydrated to revent wrinkles, while the hair becomes strong and silky. Collagen- It also contains 5,250mg of collagen, the lifting supplement that tightens skin. Our body naturally produces collagen but we lose it as we age. By drinking HyC 150, you are supplied with the amount of collagen needed to repair body tissues and form structure in order to prevent sagging. Ubiquinol- HyC 150’s 10mg ubiquinol, helps increase the body’s energy. Aside from being an energy-boosting element, ubiquinol is an antioxidant that protects the body from environmental toxins, strengthens the immune system, and prevents hair loss. 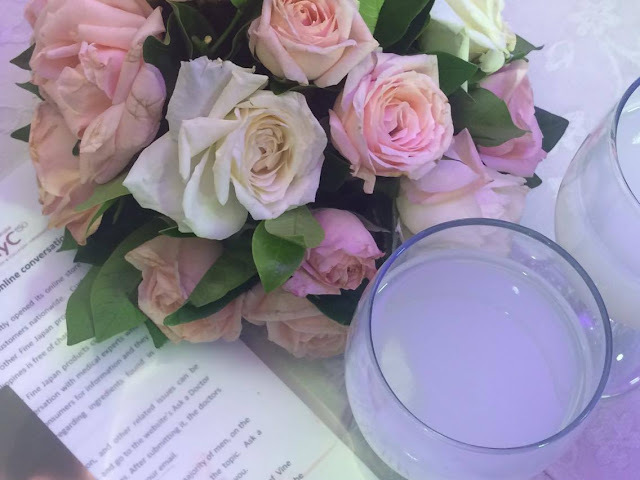 Believing that one has to be beautiful and healthy inside and out, HyC 150 is also fortified with Vitamin C, biotin, elastin and pearl coix, making it a powerful drink that must be added to your daily diet. Vitamin C- is a powerful antioxidant that protects the body from several cancer types while providing for a stronger immune system. Elastin - is a protein found in the body’s connective tissue that helps maintain the skin springiness and elasticity. Biotin - makes hair shiny and scalp healthy. Pearl coix - the right dose of pearl coix will whiten skin to remove dark spots, even acne; and bring out that radiant, youthful glow in you. Hyc150 is available at selected Watsons stores nationwide and online at Lazada, they also recently opened an online store store for convenient, easy access to its products offering free delivery to all customers nationwide. During the event they also launched the Ask a Doctor, an online conversation with medical experts who are practicing aesthetic medicine. Ask a Doctor is a personal way of getting information from medical experts that is best suited for you. Now, your questions regarding ingredients found in food supplements or possible side effects, about aging, skin health and moisturization, and other related issues can be answered. All you have to do is visit the website www.hyc150.com and go to the website’s Ask a Doctor page. Fill in the form with your name, email address and your questions. After submitting it, the doctors will receive your questions through email, and will send a reply directly to your email. HyC 150 is safe to be taken by women or men even in their 20’s. Take one sachet every day at P 125 per sachet and feel younger each day. For more details and updates “Like” HyC150 on Facebook https://www.facebook.com/HyC150 Follow them on Twitter (#HyC150) or Instagram (@HyC150), or call (02) 5467297, 0917-7750779 for inquiries. One of our must have item in the house is a rubbing alcohol and I prefer the 70% Isopropyl among others. We always make sure that there is a big bottle of alcohol in the house and a small handy one whenever we're on the go. Tristan and Athena also got 1 small bottle each in their hygiene kit at school. I taught the kids the importance of hand washing especially before and after eating, using the bathroom and after playing. However, it's almost impossible to do it most especially when we are outdoors, and that is when rubbing alcohol saves the day! To my delight, I have received a 500ml bottle of Doctor J 70% Isopropyl Rubbing Alcohol together with the Mighty Mom Dishwashing Liquid that I reviewed here. Both brands are from Kohl Industries Corporation. This isn't the first time that I've heard about Doctor J. We first came across this brand last April when Athena was confined at University of Perpetual Help Dalta Medical Center here in Las Pinas, her hospital kit includes a small bottle of Doctor J 70% Isopropyl Alcohol. 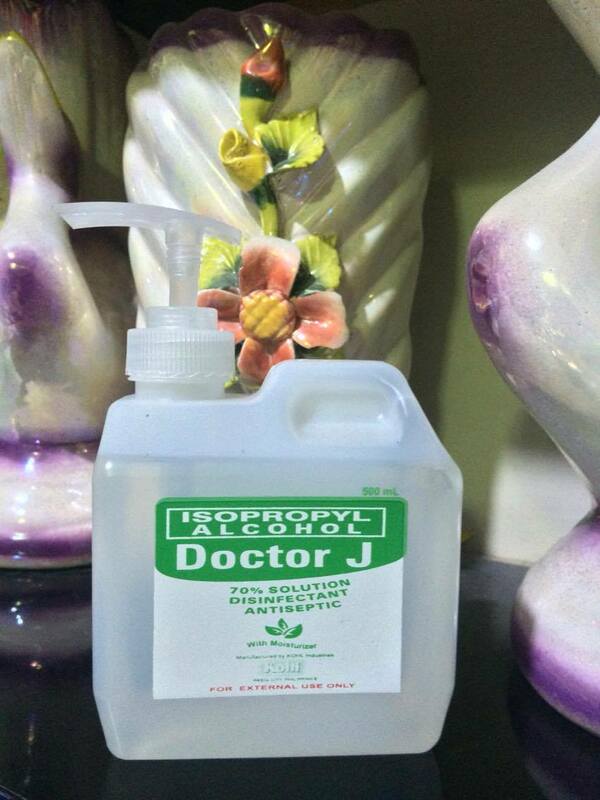 And after some research, I found out that Doctor J Alcohol is actually a top quality alcohol-disinfectant known in the Philippine market for a long time already, yes, since 1994! Kohl Industries Corporation has acquired the rights for the brand in June 2002, and in 2003 transformed the Doctor J brand into a leading alcohol-disinfectant of choice by major hospitals in the country. Yes it is, remember it was in Athena's hospital kit? So what do I like about Doctor J 70% Isopropyl Rubbing Alcohol? 1. Trustworthy- It's a top choice by major hospitals and used by millions of households, so I put my 100% trust in it. 2. Better formulations- It contains high quality, non-recycled alcohol making it an effective disinfectant and antiseptic. 3. Contains natural moisturizers- It's gentle so goodbye drying and say hello to soft hands! 4. Clean fragrant scent- It's like a cologne, leaving your hands smelling clean and fragrant for long. *ts fragrance is imported from Grasse, France! 5. Packaging- The one they sent me is 500ml perfect size for a family of 5 and it comes in a pump dispenser which is what I prefer because it's easier to use. There's only one thing I noticed with the pump dispenser, the alcohol leaks on the bottom part of the pump so make sure it's always standing up to avoid it from spilling. That's all. Seriously, this is now my new favorite alcohol brand. Will definitely make a purchase once we consumed this bottle they sent me. Have you tried using this yet? If you haven't, I suggest you do and who knows, you might make a switch too just like me! Where to purchase Doctor J? Just like a kid who gets all giddy when given a new toy, as a mom, I too get happy and excited when given stuff especially things that can help me in my household chores. 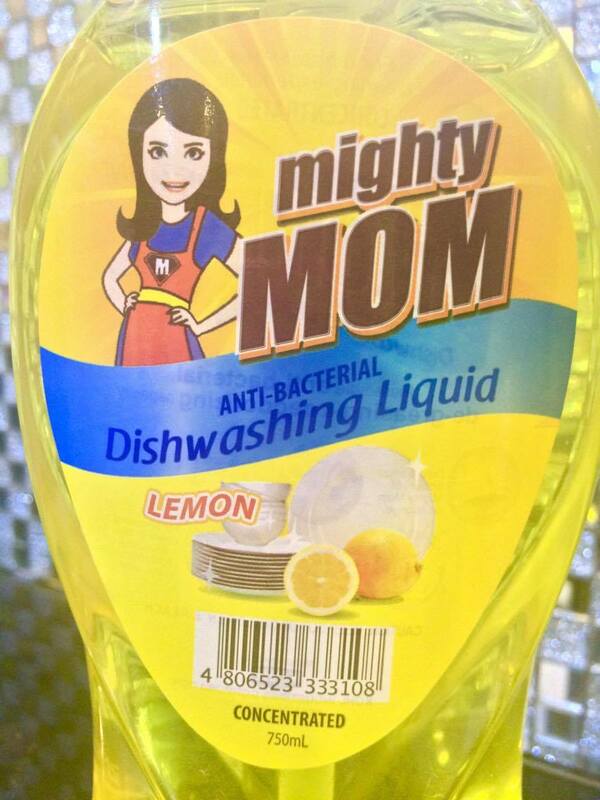 And a week ago, I received a household product, a 750ml Mighty Mom Dishwashing Liquid in Lemon variant for me to try and review. Honestly, it was the first time that I came across this brand and I'm happy because I'm discovering something new. Aside from the Mighty Mom Dishwashing Liquid the package also includes a 500ml Doctor J Isopropyl Alcohol which I reviewed here. Upon receiving the products, I immediately made my own research. These two brands are actually manufactured by KOHL INDUSTRIES CORPORATION. KOHL INDUSTRIES CORPORATION is a Philippine FDA CGMP, Certified Manufacturing Corporation and is recognized as a trusted manufacturer of high-grade disinfectants, personal care, household products and medical device solutions in the Philippines. It is proudly Filipino-owned and was incorporated in June 2002 by Mr. Aton C. Atilano. With its Certificate of Good Manufacturing Practice, Kohl Industries Corporation develops products specially for professional use. Formulated together with an expert team of chemists and pharmacists, their products adhere to the strictest standards set by top hospitals, where only high-level cleansing is accepted. Knowing this, I felt confident that my family will be in good hands. On my previous post I've mentioned that I don't really like washing the dishes but as a mom and without a helper who else would get the job done? Of course me.....and Jaear, yes we take turns with household chores! But I was the one who got to try the Mighty Mom dishwashing liquid first and shared with him my impression which I will also be sharing with you. 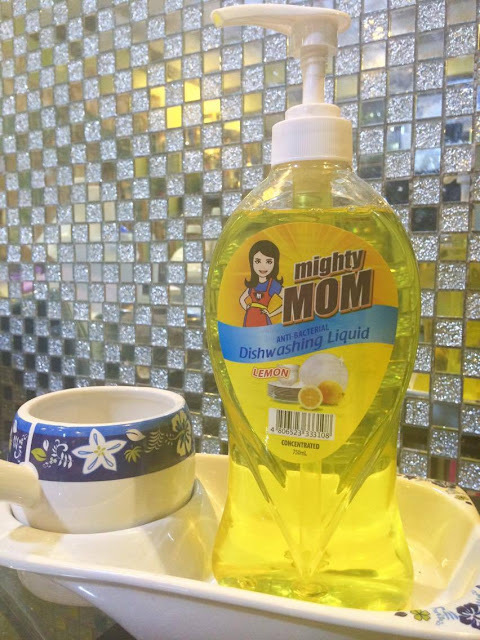 The brand name itself, Mighty Mom Dishwashing Liquid makes it appealing to every mommies and adding to it is the mommy image on the label. Cool! Its packaging also is comparable to those leading brands, its made out of thick durable plastic dispenser with a pump. I prefer pump dispenser the most as it's easier to use. On its label, it's stated "Concentrated" and that is why it's frothy and has long lasting bubbles which I find entertaining every time I wash the dishes. Haha! In terms of its scent, since I got the Lemon variant, it's sweet and citrusy. It smells good but just overpowering and leaves a clean fragrant scent on the plates and glasses especially plastic ones. So if you don't want it to leave a smell on, rinse it properly and I suggest you to only use a little amount of dishwashing liquid or you can even dilute it in water. And, because it's concentrated, you can actually save, even a little drop will go a long way, so a bottle will last for a longer time for sure. Aside from the Lemon variant, Mighty Mom is also available in endearing scent of Kalamansi which is my favorite, and the newest to the group, Vitamin E infused Soft Skin variant. Can't wait to try them all! Mighty Mom dishwashing liquid also effectively cleans and cuts grease. Just make sure to properly rinse your dishes also to avoid food residues. What I like the most about Mighty Mom is that it has Anti-bacterial properties not only cleaning our plates and utensils but disinfects it making them germ free as well. Great isn't it? And another good news, Mighty Mom is easy on the pocket! They are doing an ad campaign on several stores and they also supply this in bundles unlike other dishwashing liquid in the market. For SM supermarkets, a 500mL bottle with 2 FREE 250mL pouch is priced at Php88.00 only and a 1 Liter bottle with pump + FREE 3 250mL pouch is priced at Php149.00 only. For Shopwise, a 750mL bottle with 2 FREE 250mL pouch is priced at Php149.75 and a 500mL bottle bundled with another 500mL bottle is priced at Php95.00 only. For Robinsons, a 250mL bottle with 2 FREE 250mL pouch is priced at Php49.75 only. What a great deal! It's definitely worth hoarding for as this can be stored for a long time plus buying this is supporting local products, as this is Proudly Pinoy-owned. Give it a try mommies, not only are you going to make big savings but you are also ensured that your dishes are clean, deodorized, germ free and that your family is safe! Indeed a mighty dishwashing liquid of choice for Supermoms. Mighty Mom is currently available in Robinsons Supermarket, SM Supermarket, SM Savemore, SM Hypermarket, Fishermall, APCES, Shopwise, to name a few. It is also available in Marketa, an online market place. “Rise PH” champion’s financial inclusion in the Philippines, where only a small percentage of the whole population utilizes financial products such as insurance and investments. “Despite the bright prospects that the country’s economy has, prosperity still hasn’t trickled down to the more disadvantaged sectors of society. We have to address this”, Sun Life President and CEO Riza Mantaring said. “Sun Life would like to see more Filipinos looking forward to a brighter future and the whole country rising to greater heights. We would like to start by targeting five million clients in five years." While it may seem like an ambitious goal, Mantaring believes that it’s best to set the targets high. In order to reach the company’s goals, several initiatives will be launched under “Rise PH”. These initiatives will have Sun Life reaching out a broader market, further boosting its financial literacy advocacy, and expanding its reach nationwide. The initial set of initiatives has been launched this June, which Sun Life has declared as Financial Independence Month. This includes the cooperation with 8990 Holdings Inc., one of the top mass housing developers in the country, for efforts to promote financial literacy. Another initiative is Money for Life, a comprehensive customizable financial planning program that will ensure a client to have sufficient funds in every stages of his life. To help insure the public to create their own Money for Life plan with financial advisor, Sun Life created a 360-degree visual reality (VR) video, transporting them to different scenario based on their chosen life stage. This will enable the viewer to live the dream for a minute and be encouraged to start planning for their future through Money for Life and Sun Life’s life insurance and investment products. Viewable with a VR headset, the video can be experienced in a customizable bus “Bus to the Future” which will be making its way to different malls and school campuses nationwide from June 11 to July 2. Meanwhile, those who will not be able to visit the “Bus to the Future” stops will still get a boost in their financial journey with the Money for Life e-planner. They simply have to go to at moneyforlife.com.ph and they can start their financial planning, get product recommendations, and even buy mutual funds from Sun Life Asset management Co., Inc.
Financial Independence Month is now on its third year highlighting the national importance of financial preparedness among Filipinos. Who doesn't love Nutella? The gooey, rich and luscious taste, spread it on your bread or eat it alone. Yum! And, from a choice of six top choco favorites, over 10,000 fans of Dairy Queen the world’s most favorite ice cream chain, voted for Nutella! 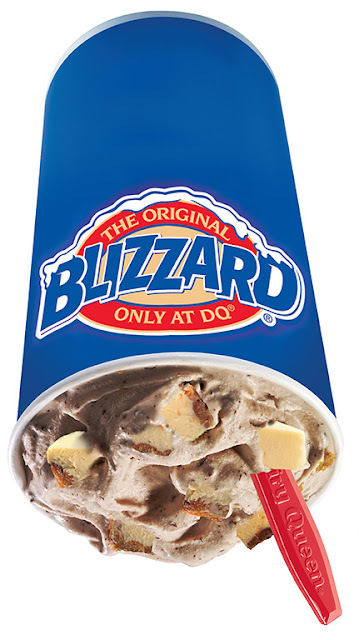 So in response to the clamor for this favorite chocolate spread to be its next featured ice cream flavor, Dairy Queen unveiled its newest Blizzard of the Month – the Nutella Blizzard. 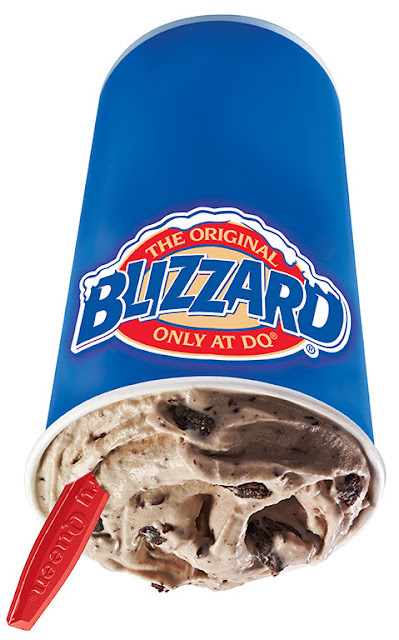 Dairy Queen® is one of the largest ice cream chain in the world. It offers a lot of variety presentations of delicious soft serve, like classic and dipped cones, shakes, sundaes, Royal Treats, Moolatte, Blizzard®, and DQ® Cakes. The Dairy Queen system has more than 5,700 locations operating throughout 24 countries including the Philippines. Taco Bell and Pizza Hut. It currently operates 80 stores that are strategically located all over the country. Dairy Queen is proud to be different, unique, and fun, because it has an optimistic ambiance that encourage you to live life to the fullest. Whether it be any celebration, a family day, a self-indulgent moment, or a mere break to satisfy one’s dessert craving, the Dairy Queen experience makes you always come back for more. Whenever we go to the Mall nearby, the kids couldn't resist the trampoline stalls. Jumping, bouncing up and down on the mini trampoline and diving in balls make them scream with so much joy and happiness. And Mommies, I have good news for you! You will definitely love Bubi Trampolines even more. Bubi Trampolines are not only for fun, it also has medical benefits for kids. It helps in developing their motor skills, teach persistence and improves their self- esteem and behavior. It also reduces restlessness and alleviate stress, stimulates internal organs and strengthens the immune system. It can also help weight loss and maintenance as well especially to overweight kids. 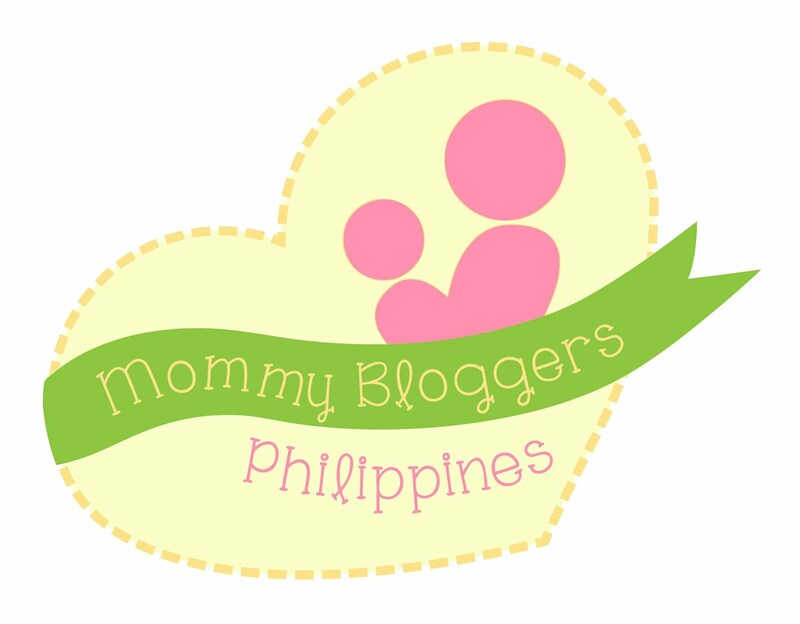 So Mommies, let your child bounce with happiness! An ounce of bounce brings a million joy to your kids! Here in the Philippines, Bubi Trampolines was established in 2011. It began to operate under SMAI (Sia & Mak Amsement Inc.) in December of 2013. SMAI has more than 12 years of experience in the quality production and distribution of trampolines all over Europe. What makes the difference with SMAI is the excellent aftersales follow-up, high quality products and availability of stocks. SMAI constantly checks and improves the production to keep the customers extremely satisfied and happy with our trampolines. The technology and current design of Bubi Trampolines are the results of significant years of experience in the European market which caters the need of every customer whether for outdoor or indoor use. Bubi Blocks and Bubi Sand Castles are also part of the Bubi Family! For sales and rental inquiries, please contact Bubi Trampolines at 941.5708. Like and follow them on Facebook (Bubi Trampoline) and Instagram (bubitrampoline). Out of all the many household chores I get to do on a daily basis, washing the dishes is one I'm good at but it's the least favorite of mine. I don't really like doing it which is why I tend to not wash the dishes right after eating. I usually leave the soiled dishes we used during breakfast on the sink and just wash it after dinner and sometimes the day after. Good thing, I get Jaear to wash the dishes sometimes. But even though I'm not fond of dish washing, I'm meticulous and I make sure the plates and utensils are not greasy and there's no deep seated dirt. 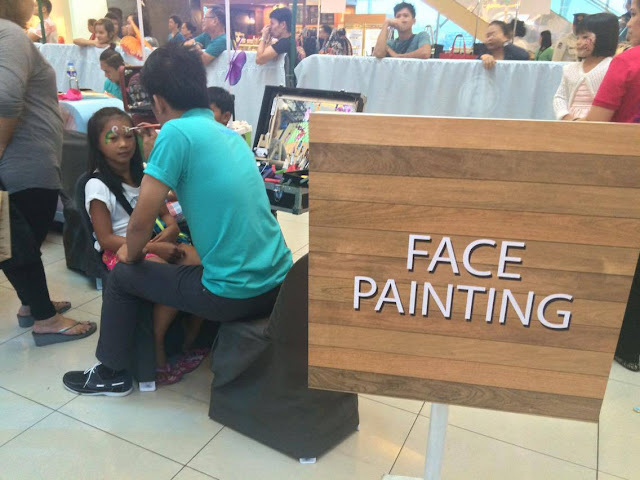 And, I can say that I'm good at it because I've been doing it since I was still in grade school, Grade 5 or 6 I guess. I have tried using dish washing pastes before but I prefer the liquid one. I only know a few brands of dishwashing liquid and a week ago I got to discover another one, the Bubble Man Dishwashing Liquid. Ms. Jhen Dizon of Mikewell Corp. sent me 3 270ml bottles to try, it comes in 3 variants; Kalamansi, Lemon and Antibac. It's housed in a clear plastic container and comes in a pull through spout which allows you to control your desired amount of dishwashing liquid. At first I actually had a hard time opening it, you have to take a good grip and put extra effort pulling up the spout. 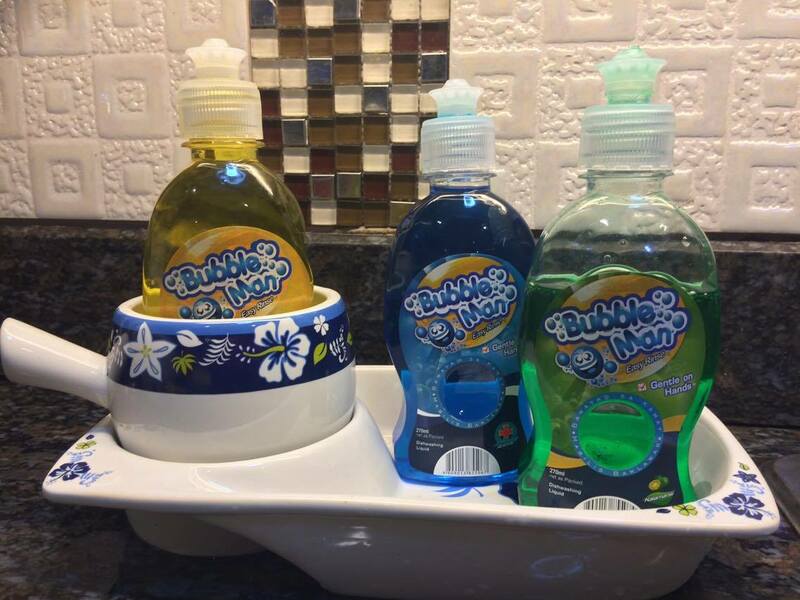 Their tagline, "MABILIS BANLAWAN, BANAYAD SA KAMAY"/ "Easy Rinse. Gentle on Hands" got me curious and excited that's why we used it right away. On the first 3 days we have used all the variants already but have used the Kalamansi variant the longest. Bubble Man Dishwashing Liquid is non toxic as it is made with biodegradable ingredients making it environment friendly, safe and gentle. Climate change is one of our major concern nowadays and knowing that there are still green products that are safe for our environment gives me hope. I just hope that more people would be aware and make green choices. Since it's safe and gentle, my hands did not feel any irritation at all, unlike other dishwashing liquids wherein you'd feel the strong chemicals used. It's also a plus that its scent is just mild and doesn't leave a smell on the dishes after rinsing. In terms of effectiveness, I can say that it is competitive. It doesn't produce long lasting bubbles but it cleans well, cuts off grease and doesn't leave residues even on plastic containers. Of course no matter how effective a product is you also have to scrub and rinse the dishes properly, not in a hurried manner. But the good thing with Bubble Man is that it's easy to rinse allowing you to save time and water, very economical right? Now, given its effectiveness and all other positive things about Bubble Man I bet you are thinking that it's expensive! Well, I have a good news for you. Not all good and quality products are expensive. 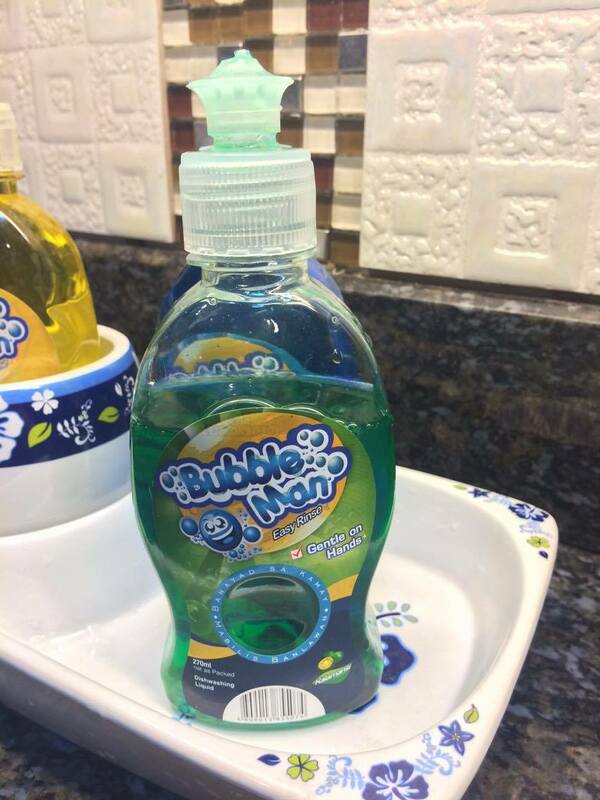 Bubble Man Dishwashing Liquid is very affordable, a 270ml bottle is at Php32.50 only and the 880ml bottle is only for 65Php. They have an ongoing promo wherein you can buy two bottles of 880ml for only Php120 and two bottles of 270ml for Php55 only. What a steal! 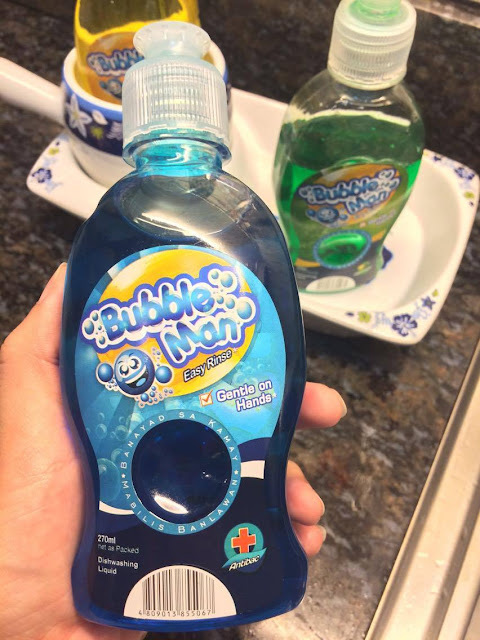 So mommies if you are looking for ways to save money without compromising quality, I suggest you try Bubble Man Dishwashing Liquid. Don't forget to share with me your thoughts and experience! 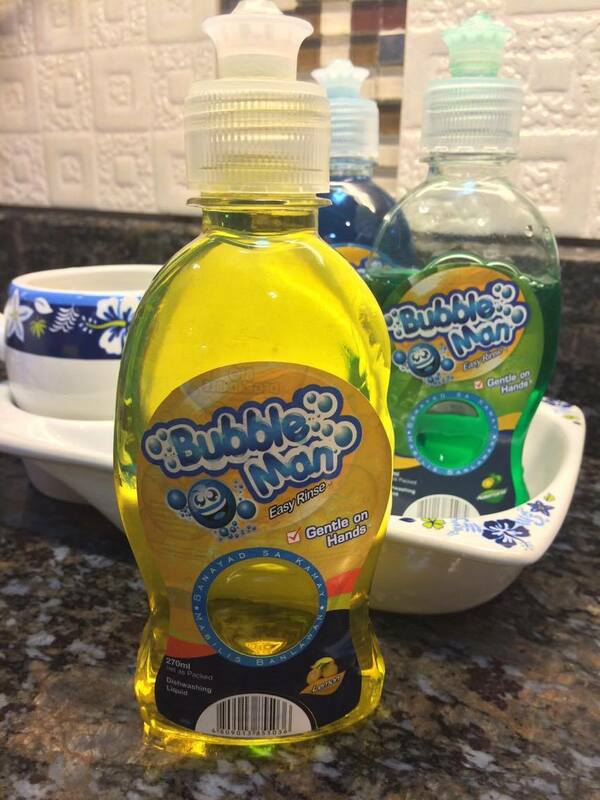 For more updates check Bubble Man Dishwashing Liquid on Facebook. Last week in Single/Single, secrets of your favorite barkada are revealed as they “tell all” and open up to a new character on the show. Joee, played by Shaina Magdayao, found herself confessing how she really feels about Steve, played by JC Santos. It seems like the sparks of their romance are slowly fading as she avoids spending time with him and more on work. What truths will Joee reveal? 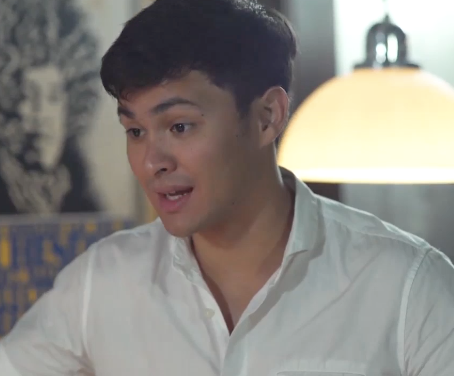 Cherie Gil’s character, Bianca, on the other hand, felt neglected by his son Joey, played by Matteo Guidicelli. Now that Joey is bent on being a successful entrepreneur, he devotes all his time and effort to the opening of his business venture, Bistro Biajo. Despite being business partners, their mother and son bonding have boiled down to discussions about bottomlines and the tasks they need to do for the launch of their bistro. What does a mom do when her son ignores her? She shares all her woes to the new guy. 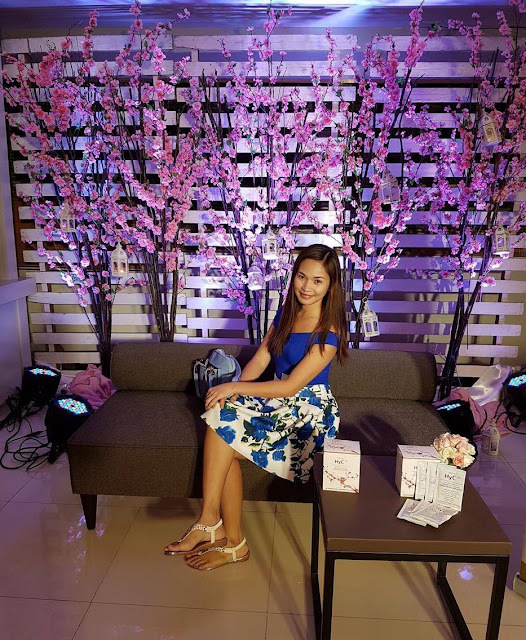 In the previous episodes, we saw Anna Luna’s character, Ranee, get swept off her feet by Randy, the hunk she met at Mama Yo’s Salon. While he appears to be interested in her, why is Mr. Prince Charming not making any concrete moves? Ranee drinks and rants and lashes out all the questions that are driving her crazy. 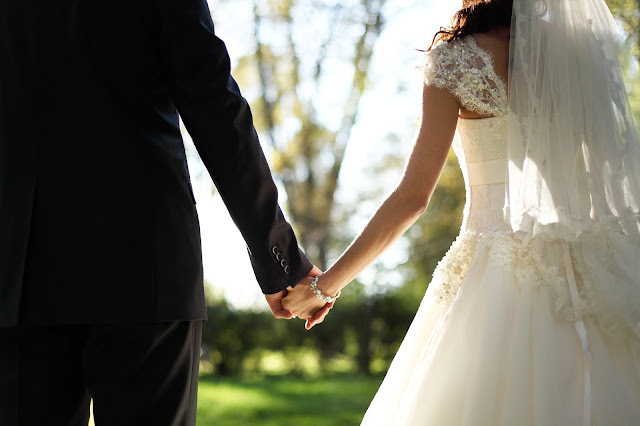 Will Randy be the one who will finally fulfill her dreams? Is she just setting herself up for disappointment? All these she asks to the new guy by the bar. Even the boys – Steve, Dwight, including Benny and Mama Yo – seem to naturally gravitate to this man and just pour out their innermost thoughts and feelings. Single/Single, the award-winning series of PhilStarTV and Cinema One, airs every Sunday, 10PM in Cinema One with replays every Wednesday 8:30PM and Saturday 9PM. Past episodes can also be viewed on philstartv.com. For more updates, visit facebook.com/SingleSingleC1 and @SingleSingleC1 on Twitter and Instagram. Gone are the days when Hotel Sogo is known as a “motorist hotel” or a "short time" hotel as it recently re-invented its brand to cater to families, ‘barkadas’ and just about everybody from all walks of life and for all types of occasions. Families can enjoy free wi-fi access, cable TV with in-house movie channels, digital music system, 24-hour food and beverage service among the hotel’s most popular amenities. Apart from the five room types of Regency, Executive, Deluxe, Premium and Econo, Hotel Sogo also came up with themed rooms to entice their guests’ senses. One of which was the Hello Kitty Themed Room which has gone viral on social media recently. "If we continue to cater to just this limited market we cannot grow. 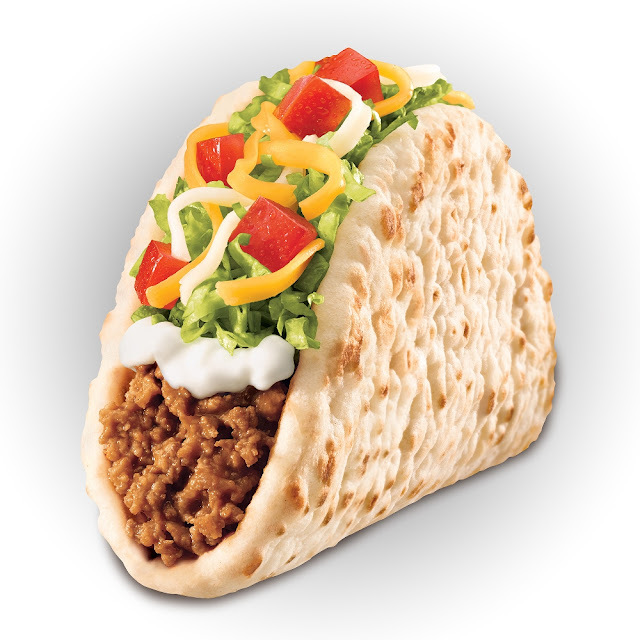 We knew for quite some time now that it makes sense to cater to different segments in the market." said Mr. Gus Corpuz CEO of Hotel Sogo when asked for the reason behind the reinvention. “After marketing studies and financial analysis we eventually decided that the best way is to hire a brand ambassador. This project has been on the pipeline for more than 6 months, debating on what is the best way to communicate to the general public that Hotel Sogo is more than just a short time hotel.” He added. 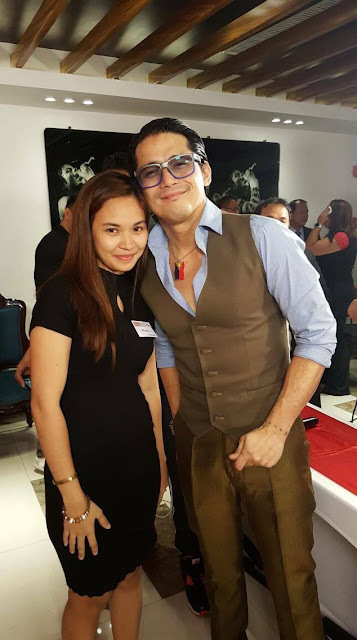 And last May 24, 2016, Hotel Sogo formally introduced its first Celebrity Ambassadors, one of showbussiness' most adorable couple today, Robin and Mariel Padilla. Aside from this, Hotel Sogo is also pursuing social initiatives such as “Doctors on Wheels” (DOW), a program that provides free medical consultations and medications to the under-served communities throughout the country. To date, the said program already helped 3,000 indigents since its inception in 2015. 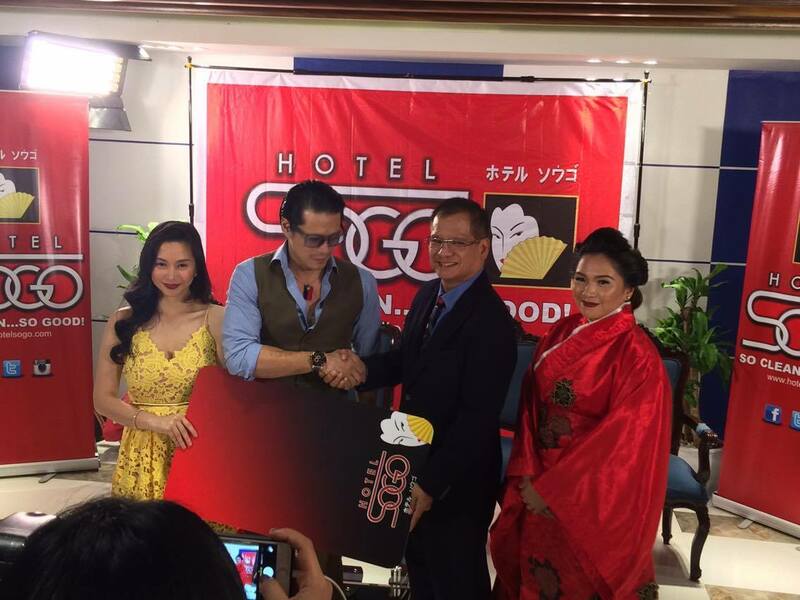 Robin and Mariel Padilla are excited to work with Hotel Sogo in promoting its hotels and supporting its social initiatives. They will be featured in several advertisements on TV, radio and print. He also added:“Nais po naming suportahan ang misyon ng Hotel Sogo na yung mga pamilyang hindi nakakapag hotel dahil nga mahal ay maranasang makapaghotel at maramdaman ang pag-alaga ng isang hotel” Mariel’s pregnancy announcement is also very timely in support to Hotel Sogo’s family friendly reinvention. 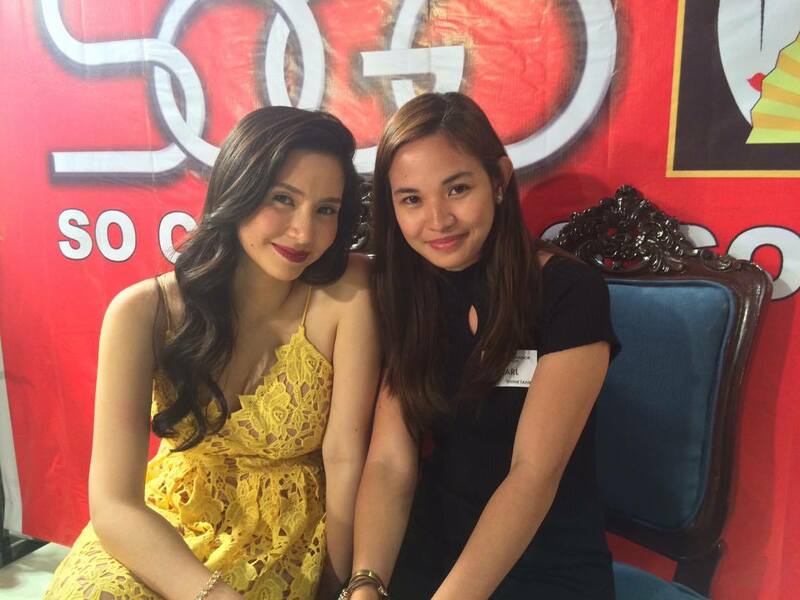 Robin and Mariel are both accommodating, they graced everyone's request to have photos with them. Of course I wouldn't miss it! Hotel Sogo strives to be at the forefront of the lodging chain industry - accessible and continuously providing clean, high quality, satisfying, good and affordable service. It is also known for having courteous, well-trained and hospitable staff through continuous employee trainings and seminars at the Hotel Management Institute of the Philippines. 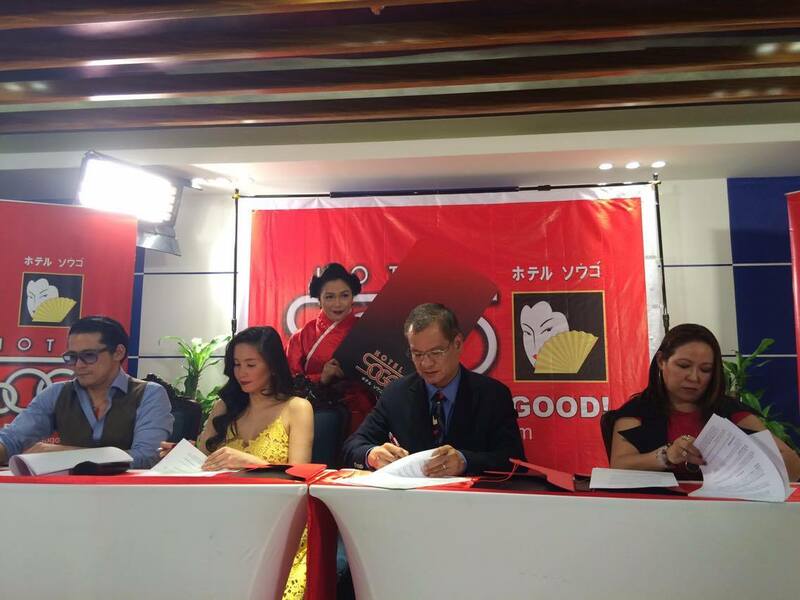 Hotel Sogo is also planning on building 5 more hotels this 2016. 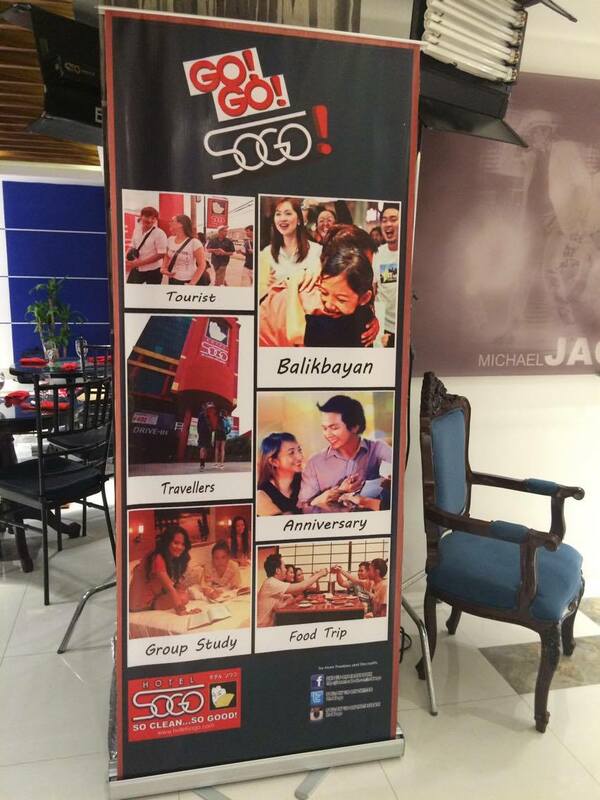 To find out more about Hotel Sogo and its events and promos, log on to hotelsogo.com or like/follow them on Facebook (facebook.com/hotelsogo), Twitter (#hotelsogo) and Instagram (@hotelsogo). I have a confession. In my 20+ years of existence I only got to try a facial twice, and it was just the basic one. My first time was during college and the second was December last year. I also used to be just a soap and water kind of girl and only started with my skin care regimen last year. I know, I know! I'm such a late bloomer, I wasn't that meticulous with my skin and wasn't aware with its consequences then. My hesitation towards skin care products started during college days after trying out one local brand of facial wash and the effect on my skin was opposite to what the product claims to provide. And, I can't believe how painful a facial could get, that's why I'm kind of not fond of having facial treatments. Though now of course, I'm aware that there are actually many kinds of it, but maybe because I'm busy or just being frugal and thinking that my everyday skin care regimen is enough, so it never crossed my mind to try one of those other kinds of facials. So when I was invited to try out OxyGeneo Facial, I declined. Not! Haha. When an opportunity comes knocking on your door would you even dare say no? Of course not! Besides, the invitation came from a trusted name whom I've previously worked with, Mary Pauline Salon and Spa, Starmall Las Pinas. 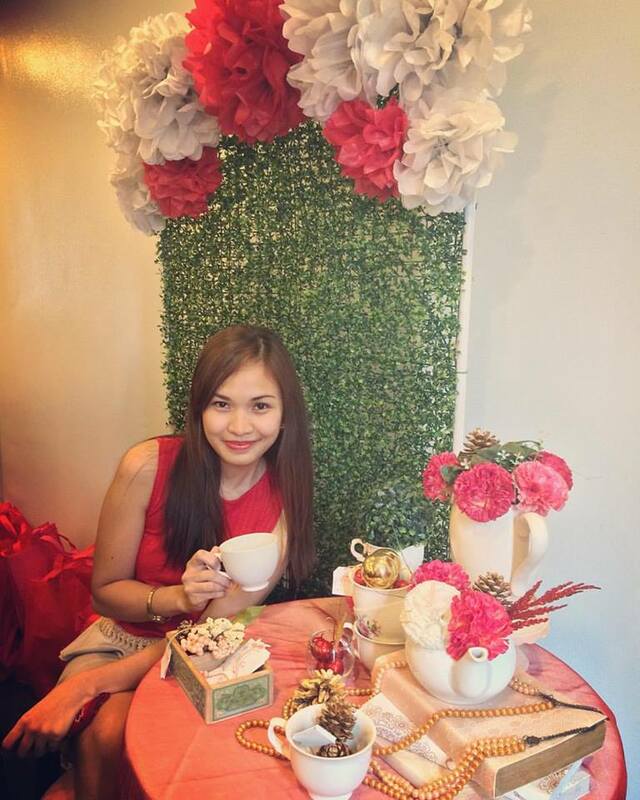 Yes I was surprised and happy at the same time to know that from their start up hair, manicure and pedicure service last October 2015, their service offerings have taken up a notch. Not only that, with only just over 6 months of service they have been awarded by Q Asia Magazine the SEAL OF QUALITY SERVICE AWARD. Well deserved, Congratulations! Before introducing any product in her shop, Bianca make sure she tries it for herself first. As evident on her look, you'll definitely see that she only offer top of the line service and products. 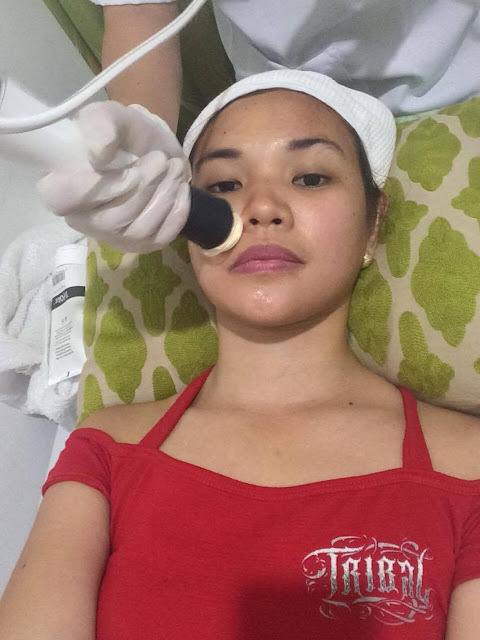 When I got the invitation, I wasn't actually aware what OxyGeneo was but Bianca, the owner of Mary Pauline Salon and Spa, Starmall Las Pinas gladly explained what it was, and with few researches online, I found out that OxyGeneo is also called the "Super Facial" so I knew then that I was in for a treat. That same week, I organized my busy schedule and made sure to squeeze in my "OxyGeneo Facial" the following week. I was that excited! You are probably excited too, so let's first get to know more about this Super Facial. OxyGeneo is clinically proven facial treatment that results in unparalleled skin nourishment & oxygenation, for smoother complexion and younger looking skin even in just 1 session. 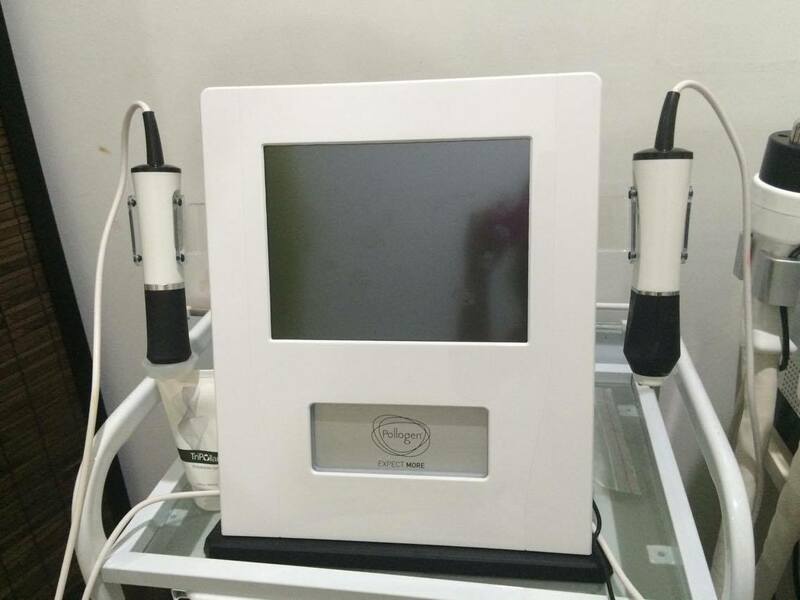 It is also called the 3-in-1 Super Facial or the Next Generation Facial. What are the benefits of Oxygeneo? Safe for ANY skin type! 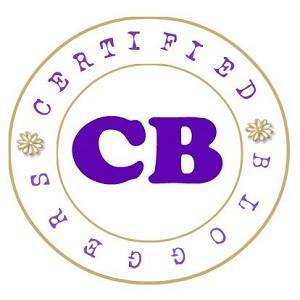 Treats sensitive skin without any irritation. The OxyGeneo Facial session feels like a massage for the face and takes about 30 minutes only. It is very refreshing and comfortable. I felt so special because the first half of my OxyGeneo Facial was done by the owner itself, Bianca. She haven't changed a bit, she's as humble, kind and accommodating as the first time I met her. Throughout the procedure she made sure I'm aware of what she and her staff was doing by explaining thoroughly the steps. Talk about special treatment! Well actually, she's like this to all of their customers, above anything else she wants to make sure that everyone is treated fairly and accordingly. 2. Exfoliate: Removal of dead cells, smooths and renews the skin, preparing it to receive active nutrients. This process takes about 15 minutes. Using the hand device with a Capsugen, it exfoliates the skin and it also includes RF treatment which improves skin tone and texture. 3. Infuse: Cleanses the skin, preparing it for infusion of active ingredients: NeoRevive™ revitalizes a dull complexion making the skin smooth and reduces the appearance of fine lines and wrinkles or NeoBright™ which lightens skin tone, minimizes the appearance of skin pigmentation and uneven skin tone. Active ingredients was then applied on my face. Since I have discolorations on my face we opted to use the NeoBright™. This process felt a bit warm on the face but it's not irritating. It took about 4 minutes only. 4. Oxygenation: Produces CO2 bubbles which gently burst on the skin surface creating a physiological response, sending oxygen-rich blood to the area, resulting in optimal absorption of active ingredients. This part was very relaxing as my face is being massaged, this process took about 4 minutes too. Here's a quick video of me while on session! After just 1 session, I immediately felt a difference. My skin is then rich with oxygen and nutrients from the gels thus my face felt fresh, soft and supple. The whole treatment was relaxing and rejuvenating too. 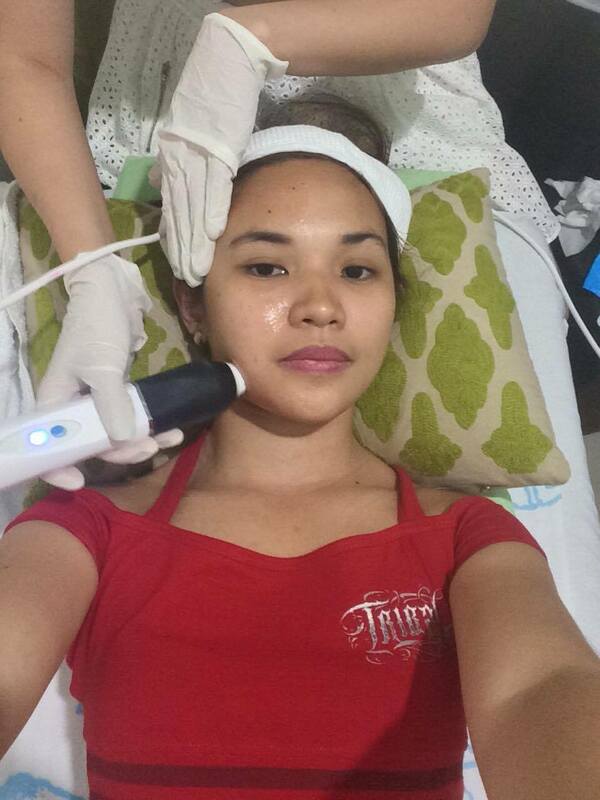 No irritation and no pain, compared to a regular facial treatment were your face gets pricked. It's also safe for any skin types, even if you have acne. 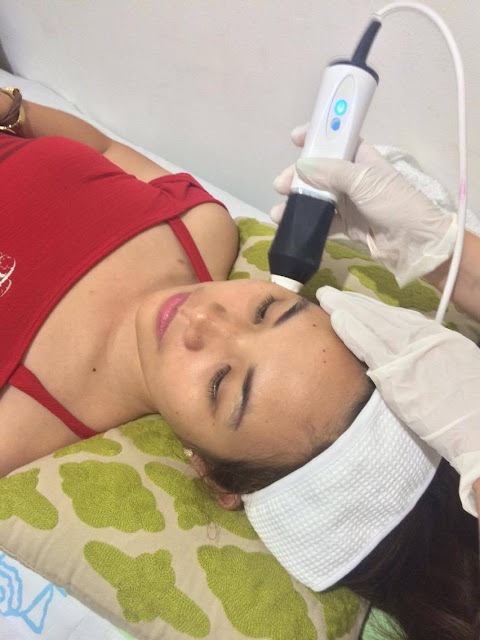 What I also like about it is that it doesn't have any downtime, so after the treatment you can already resume with your routine and apply make up. Celebrities even schedule their OxyGeneo Facial right before an event for an instant glow! For a long term benefit, it is advisable to have 4 to 6 weekly session then followed by a monthly maintenance. I actually forgot to take a before and after session photo of my face. However this photo above was taken the next day after my OxyGeneo Facial. 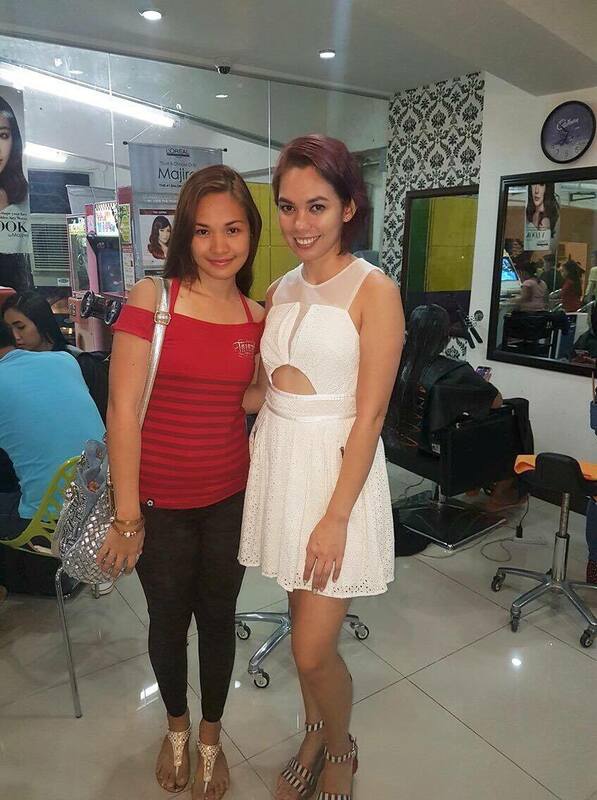 Thanks again Bianca and to your Mary Pauline Salon and Spa, Starmall Las Pinas family! Have you tried OxyGeneo Facial yet? How was it? 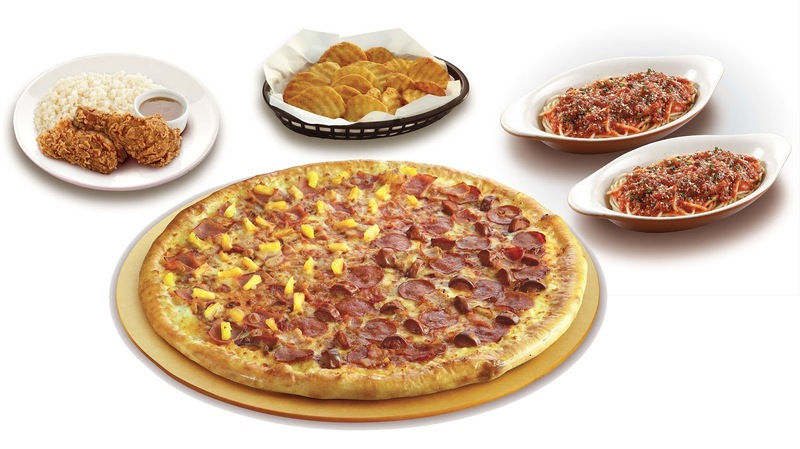 They say that the best way to a man's heart is through his stomach, so this coming Father's Day, treat your family’s main man with the love and indulgence he deserves as Pizza Hut, the country’s well-loved pizza brand, offers special Father’s Day meals that the whole family can enjoy at big savings! You can aslo have a big Father’s Day blowout at home with Pizza Hut’s Big Daddy’s Blowout Pizza, available for delivery and take-out up until June 30, 2016. Available in a combination of two great flavors – Hawaiian Supreme and Sausage, Bacon with Pepperoni – arranged on an 18” Hand-Stretched Pizza for just P499 a la carte, with no delivery charge! Complete the blowout celebration with popular Pizza Hut add-ons for just P99. You can choose from two single pastas, a 4-piece Wing Street, a family sized Slinger, a 2-piece fried chicken with rice, or a 50% discount on your favorite Pepsi or Mountain Dew drinks. 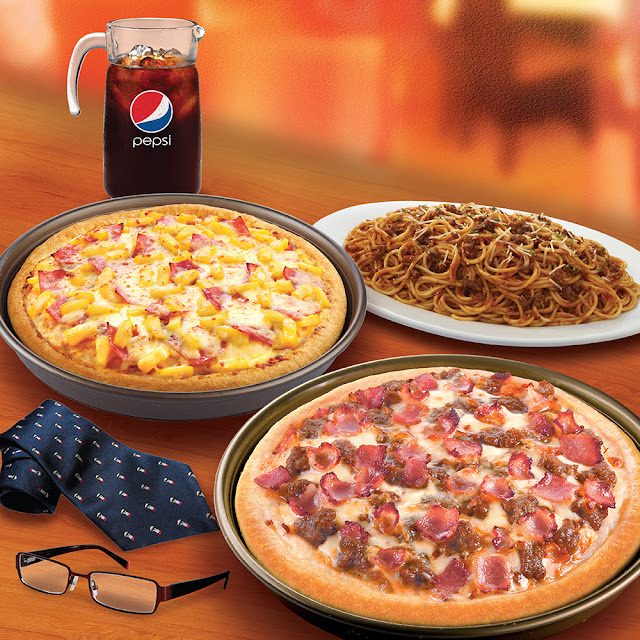 It’s your chance to treat your special man on Father’s Day with these special Pizza Hut offerings. Learn more about the Father’s Day offers of Pizza Hut by visiting the official website at www.pizzahut.com.ph or the official Facebook page at www.facebook.com/pizzahutphilippines. You can also follow Pizza Hut on Twitter and Instagram at @PizzaHutPhils, or simply call 911-1111 (Metro Manila) today!